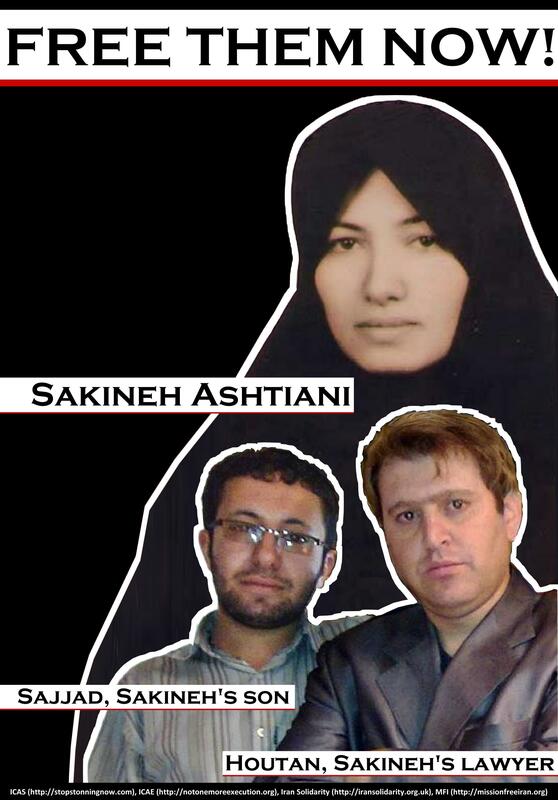 Action: Meet for a ~*brief*~ demonstration in front of the Islamic Republic’s offices at the Pakistani Embassy; we will then proceed to M St in Georgetown to hand out flyers and discuss the case of Sakineh, Sajjad and Houtan with the public. Sajjad Ghaderzadeh, the son of Sakineh Ashtiani, has rallied the world in a struggle for the life & honor of his mother – even when disowned by his family – because his fight is just. He has shattered the the foundations of the Islamic Republic’s misogyny by raising his head proudly and announcing to the world that women have a right to their bodies – that the shame of an “adultery” charge is not woman’s, but the Islamic Republic’s. Sajjad has drawn global leaders to his side. He has exposed the crimes of the Islamic Republic and called murderers & torturers to account – while still inside Iran. And now, those same murderers and torturers have abducted Sajjad, taking him, Sakineh’s lawyer Houtan Kian, and two German journalists to an unknown location. We know this regime. We know their expertise is in lies, torture, and execution. And we know that they would like nothing more than to silence our courageous and honorable Sajjad forever. The time has come to stand up for the young man who fearlessly moved the entire world to the defense of his mother, and in doing so, shook the foundations of this regime. He stood up for his mother, and for all women, and now we must stand for him.